Spring represents change: snow melts and reveals the green grass beneath, flowers and plants begin to push themselves up and out of even the most barren landscapes, and the bright sunshine slowly but surely replaces the bleak, cloudy skies of winter. This shift in attitudes is precisely why so many people take a day (or an entire week!) 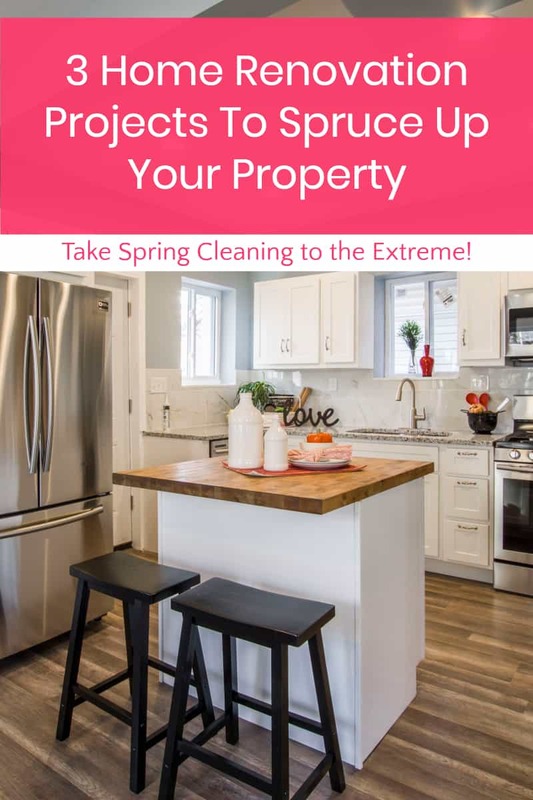 to clean the dust, dirt, and debris from their homes via Spring Cleaning. While purging old, unused items and giving the bathtub a good scrubbing is certainly cathartic, why not go a bit further? The season of spring transforms the landscape; you can transform your home. The following three home renovation projects will help you shake off the cold stagnation of winter and fully embrace the spirit of spring. Kitchen remodels carry a lot of anxiety for homeowners due to their expensive reputation, but we’re going to tell you a secret: you don’t have to do the entire room! By changing one single aspect — your cabinets –, your kitchen will look like brand new. Cabinets generally account for 40% to 50% of total kitchen remodel costs. They take only one to two days to fully install, so your lives won’t be completely disrupted throughout the process. Even better, the return on investment of kitchen remodels is often well worth the expense; if you’re planning on selling your home at any point in the future, your new cabinets will give your resale value a hefty boost. Few people are able to say that they’re pleased with the condition of their driveway. This aspect of your home may seem relatively insignificant, but it can have a serious impact on curb appeal; if your driveway is full of cracks, has uneven sections, or collects water when it rains, you could be facing major problems down the road. Replacing the surface doesn’t need to be exorbitantly expensive; by electing to use polished concrete as your medium, you’ll only be paying around $4.99 a square foot. While it doesn’t sound like the most glamorous material, polished concrete has quickly become a popular alternative to marble, granite, and tile flooring options. Not only is it incredibly affordable, but it’s also extremely durable and performs well in a variety of conditions. In fact, Concrete is used more than any other human made material on the planet. If you want your home’s overall aesthetic to improve, installing a polished concrete driveway can make a big difference. A significant part of spring cleaning involves organization. Whether you’re going through those old boxes in the attic or are just trying to simplify your everyday life, you might not always want to fully get rid of your things; some of them may have sentimental value, and others may be crucial to your family’s history — but both still take up space. By building a quality storage shed on your property, you’ll have somewhere to store these items until they can be properly displayed or passed on to another member of the family. Storage sheds are worthwhile investments. They provide a safe place for you to keep important items, improve your home’s property value (everybody wants extra space), and last a very long time; wooden sheds can make it to 20 years if they’re properly maintained. Because they offer a more palatable way to deal with things that you love but don’t necessarily want cluttering up your home, they’re extremely valuable. You don’t need to completely gut your house in order to experience the soothing winds of change and order. 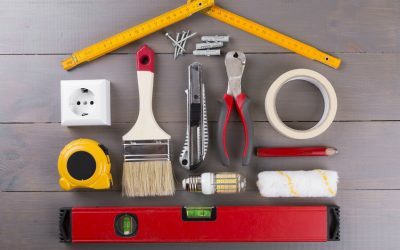 Making a few simple but major adjustments to your property can give it a modest facelift; you’ll be amazed at how utterly new your old house will feel.